AJ Solutions - We Can Always Make It Fit! 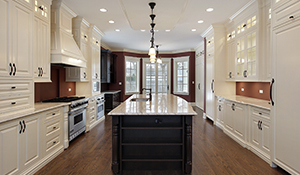 We have been custom installing kitchen appliances throughout Westchester County and southern Connecticut (Greenwich and Stamford) for over ten years. We are proud of our reputation for delivering top-quality work and finishing on time. Please take a moment to read the testimonials from some of our satisfied customers. We have the exact solution! 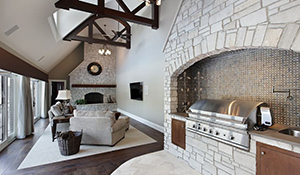 AJ Solutions specializes in the not-so-easy jobs: we are experts at making alterations to an existing kitchen – modifying countertops and workspaces to fit a new appliance. We blend new cooktops, hoods, vents, microwaves into their surroundings so that the look and charm of the kitchen is maintained. New appliance the wrong size for the existing space? Don’t worry - we have the exact solution! Any appliance, any place - AJ always makes it fit! New appliance wider/ taller/ deeper than the old one? Call AJ Solutions! Contact us to find out more, or to arrange for a quote. For more than 10 years we have been serving clients in New York and Connecticut. We are proud of our success and our reputation. 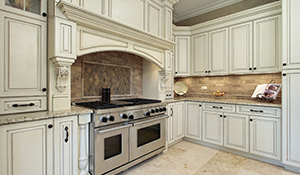 Dishwashers, ovens, hood vents, down drafts, wall ovens, ranges, cooktops, refrigerators, trash compactors, wine coolers. We never say it can't be done. If we have to cut granite, wood, anything, we will do it to fit and match perfectly at the end. If others tell you it won't fit, CALL US! We will do whatever it takes to fulfill your wish.